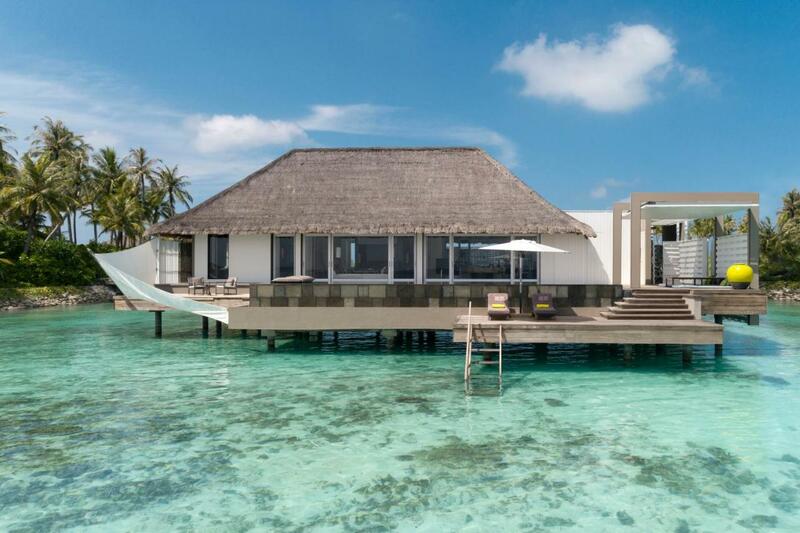 Surrounded by the turquoise waters of Noonu Atoll in the Maldives and emiting pure style, Cheval Blanc Randheli is the new exclusive luxury property from Louis Vuitton Moët Hennessy (LVMH), the world leader in the luxury and haute couture industry. 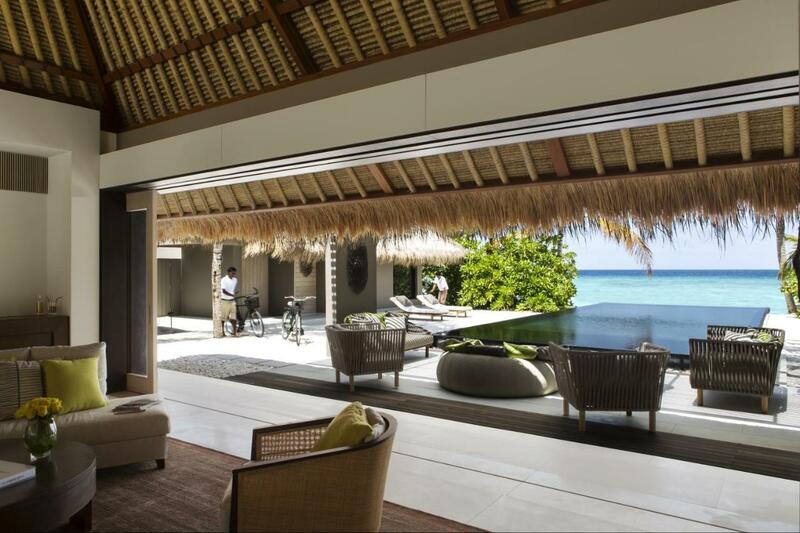 One of the most exclusive addresses in the Maldives, Cheval Blanc Randheli offers the ultimate in luxury and style. Randheli is only the second Cheval Blanc in the world, after his brother, the original Cheval Blanc Courchevel is a fashionable ski resort in Europe and a favorite hangout among Hollywood superstars, celebrities and luxury magnates. The brand sets a high standard and promises a special exclusivity and a generous dose of luxury. Situated on the Noonu Atoll in the north west of the Maldives, Cheval Blanc Randheli encompasses five pristine islands in a stunning lagoon. Located north of Male, Noonu atoll forms a handful of untouched green islands protected from the ocean by a large coral reef. The islands mix palm trees, tropical flowers, a stunning stripes of white sand, clear turquoise waters and extensive corals. 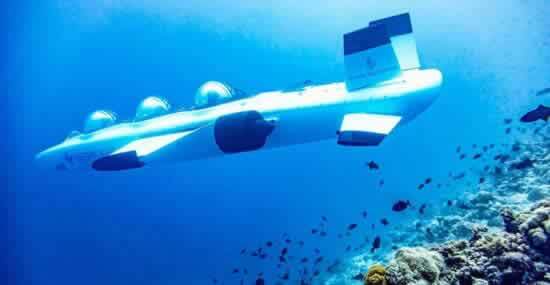 In the atoll's waters expect to find abundant marine life, including sharks, rays and turtles. Only a few minutes by boat from Randheli is the wild Maakurandhoo island - a paradise for rare plants and flowers, where walks on its unspoilt beaches invariably evoke the stories of Robinson Crusoe. Cheval Blanc have a reputation for offering exceptional standards of service, modern design and stylish destination resorts and Randheli is no different. If you are looking for the ultimate in exclusivity, minimalist luxury design, fine dining and the best spa treatments, look no further. Situated on the Noonu Atoll in the north west of the Maldives, Cheval Blanc Randheli encompasses five pristine islands in a stunning lagoon. Incredibly luxurious and terribly chic, designed by Jean-Michel Gathy, the creative mind behind some of the world's most beautiful hotels, including Chedi Muscat and many of Aman's resrots - Randheli shows the successful marriage of modern aesthetics with traditional Maldivian craftsmanship. These 45 villas, all with private infinity pools, are really huge! 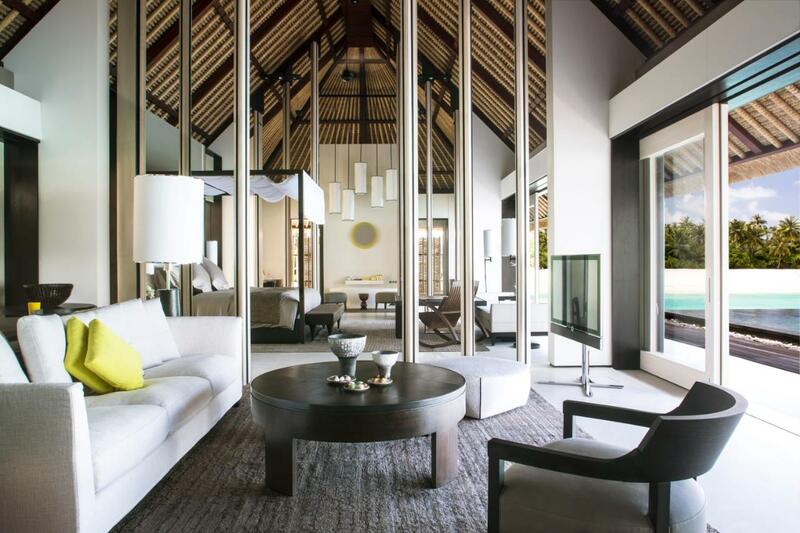 It was difficult to find the right balance when merging traditional and modern design elements, but Gathy managed to create an architecture that fits perfectly into the context of the stylistics of coconut islands - providing a calm and undisturbed space. Interior design emphasizes this approach. 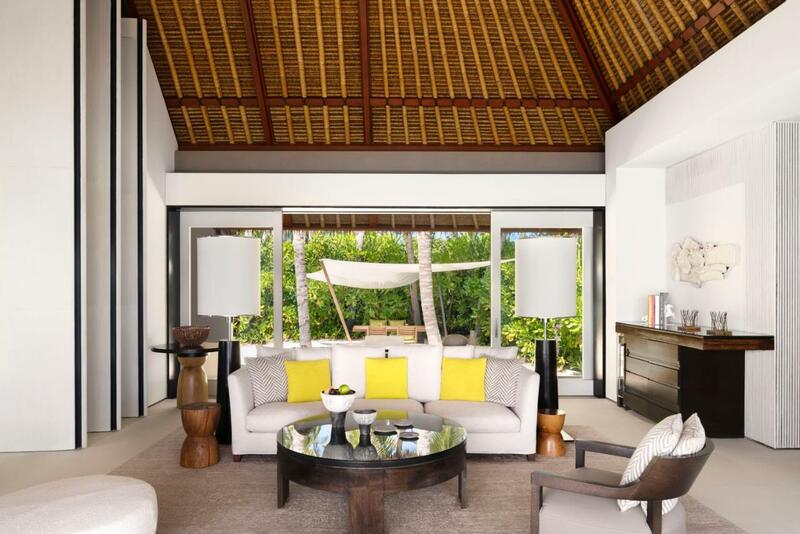 Furnishing continues to focus on relaxed comfort, while the color palette and materials reflect the setting of the Maldives' house using elegant gray-brown and white tones with citrus splashes, next to thatched roofs and stone walls. The 12.5-meter long private pool seems like a natural extension of the villa; sunlit rooms: entrances, a height of seven meters. Each place is unique and reveals a distinctive color combination. A talented designer with unexpected elegance filled even the most mundane objects throughout the resort. 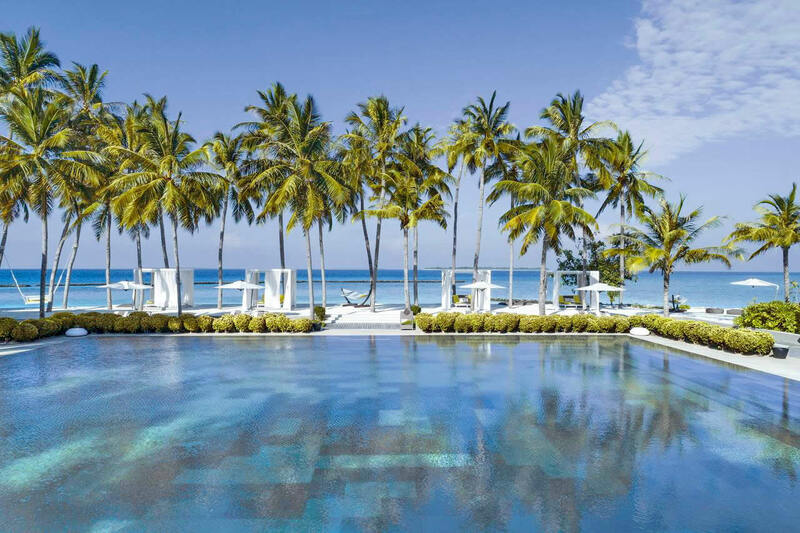 New, airy interiors are more modern and cosmopolitan than in other Maldivian resort hotels with a large square-shaped swimming pool surrounded by fringed palm trees. The central bar is decorated with white marble Carrara and art works of Vincent Beorin, with a touch of citrus, are scattered all over the place. In general, each corner looks good enough to serve as a backdrop for fashion photoshoots or selfi grammes. The top accommodation is the Owner's Villa, located on a separate 1 hectare island, and is accessible only by boat, with its own pier and marina. On its own dedicated island, Cheval Blanc Randheli Private Island is the ultimate holiday experience for families and friends. The villa is equipped with four bedrooms and offering the ultimate in exclusivity with unique facilities, including private spa, a large 25-meter outdoor swimming pool, pristine sandy beaches and exotic gardens. There is an excellent kids' club and facilities for entertainment and recreation for teenagers. Your family vacation, for many days will be full of fun ideas coming from your butler, whether it's a treasure hunt on a desert island or kebabs on the beach, or a leisurely sailing trip; the fleet of dhoni boats is waiting at the pier to go to sea under sail in search of fantastic sunsets, dolphins or picnics on a sand bank. When parents want a break, Le Carrousel and Le Paddock take care of children and specially conceived for little ones with a range of exciting activities and new discoveries. The kids' club, just steps from the beach, caters to children aged 3 to 12 years and is open daily from 10am til 6pm with a team of Ambassadeurs to look after your children. Facilities are extensive, including an indoor playroom, shaded outdoor areas, a pool, toys, games and specially prepared mid morning and afternoon snacks. Le Carrousel kids' club, just steps from the beach, caters to children aged 3 to 12 years and is open daily from 10am til 6pm with a team of Ambassadeurs to look after your children. Facilities are extensive, including an indoor playroom, shaded outdoor areas, a pool, toys, games and specially prepared mid morning and afternoon snacks. Le Paddock Teens club is located next to the watersports centre and is a refuge for teenagers to socialise, relax and play. 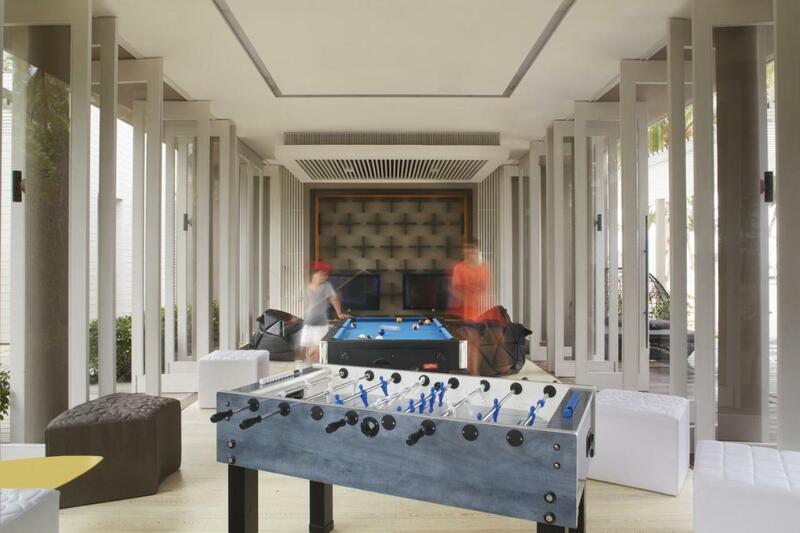 There's a lounge with beanbags and music and video systems, pool tables and table-tennis, as well as teenage activities such as diving and snorkelling excursions, Zumba dance classes and special teen yoga and spa treatments. It is open daily from 9am til 10pm. There are five restaurants at Cheval Blanc Randheli, as well as three bars and a wine and cigar cellar with an extensive selection of wines, champagnes and spirits. Guests of Randheli can not deny themselves anything. The presentation and quality of food is exceptional everywhere. Complemented with the best wines, fresh seafood, Japanese, Iberian, French cuisine and other corners of the world are served in four restaurants. The best is elite "Le 1947" restaurant focuses on fine French cuisine, from chef Yannick Alléno. Some gourmets claim that the food there corresponds to the best of Europe. Dining is a real highlight here - each dish is considered to be culinary art, combining French tradition with a creative twist. Take your pick from the five restaurants, including Japanese, Mediterranean and fine-dining options. However, you needn't be restrained to dining in a restaurant, or even in your villa. Choose from a range of culinary journeys, from dinner on a local dhoni to a beach picnic with private chef - your wish is their command. 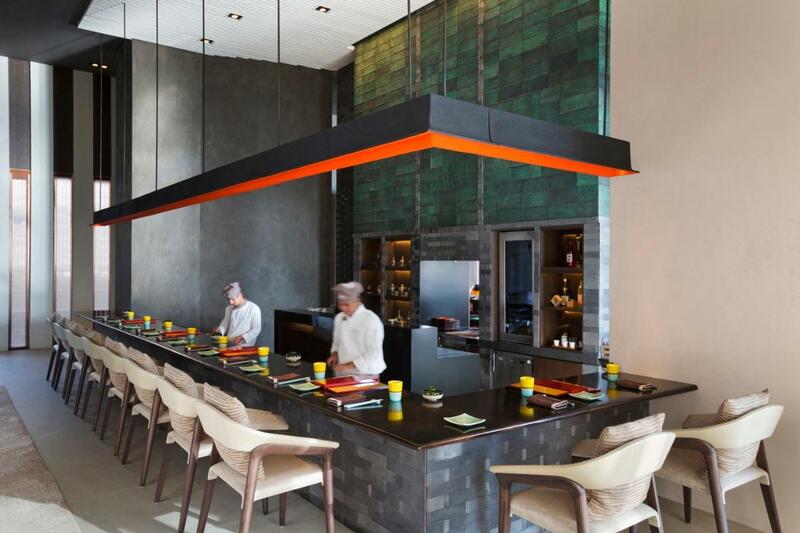 Restaurants The White and The Deelani offer healthy, but indulgent options in a relaxed atmosphere. Diptyque, specializing in Japanese and Iberian cuisine is happy with themed nights, and guests can also meet at a casual barbecue or at the hotel's pool bar. Weddings are not the most important thing in Cheval Blanc Randheli, but comprehensive quality facilities and exceptional service means that this resort is an excellent choice for celebrating events of all kinds. Newlyweds will be able to enjoy the place, privacy and service of a private butler, not to mention the 5 * diving and wonderful feast on a wide foot, which the island is known for. Le Table de Partage is an institution specially designed for private family parties or groups of friends of up to 16 people, and the chef will always be happy to please your personal tastes. A team of Experience Alchemists are on hand to arrange specially tailored activities and unforgettable experiences during your stay. The resort's marina has a fleet of traditional dhoni boats where you can sail at sunset in search of dolphins, as well as expedition boats to take you to dive sites or for a spot of big game fishing. The watersports centre includes a 5-star PADI certified centre with instructors and dives for all levels. Other watersport activities on offer include snorkelling, canoeing, windsurfing, water skiing and catamaran sailing. 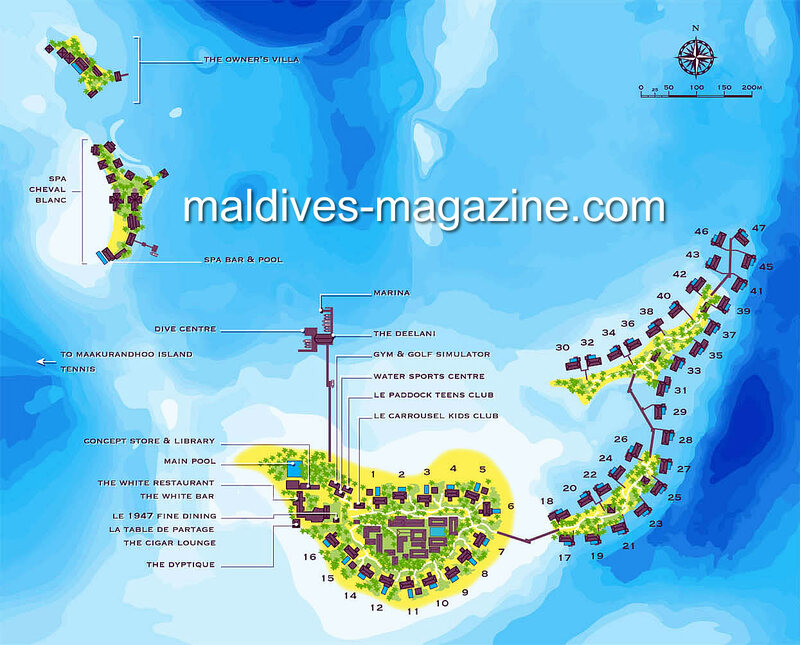 There are two tennis courts, a state of the art fitness centre overlooking the lagoon and a golf simulator. 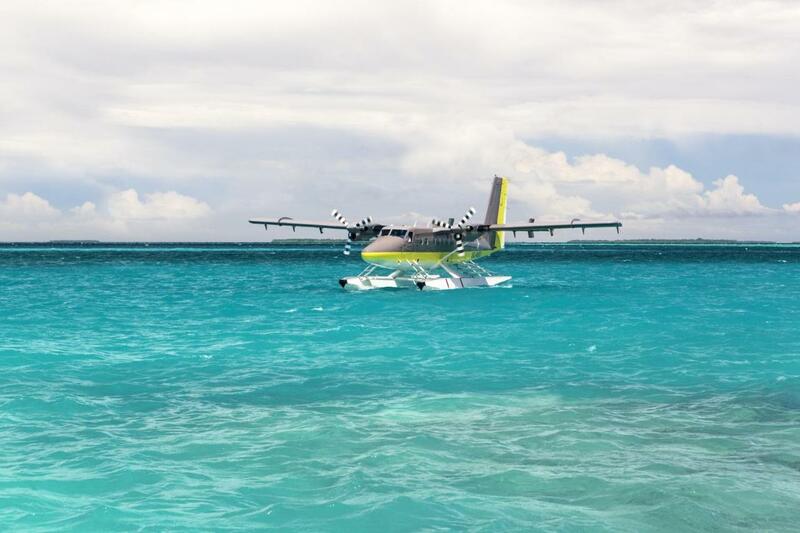 Explore the Noonu Atoll's marine life on snorkelling or diving excursions by day or night, set sail on a dhoni on the lagoon in search of dolphins and turtles, or try your hand at windsurfing. Young guests are well catered to, with the kids' club, Le Carrousel, and a teenage club, Le Paddock, offering an array of activities and adventures. One island is dedicated to the Cheval Blanc Spa, with exclusively designed treatments by Guerlain and six overwater treatment villas. As well as treatment spaces you can indulge in the hammam, stretch out in the Yoga and Pilates pavilion or head to the hair spa or barber shop. Excellent snorkeling! A beautiful house reef. Many fish, including sharks, rays and turtles. 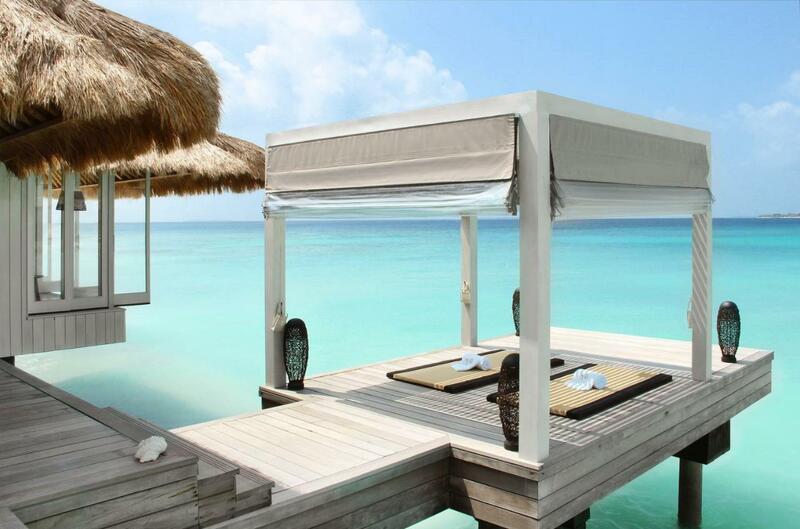 Link of the Louis Vuitton Moët Hennessy hotel chain, Randheli offers itself as the most stylish resort in the Maldives. In addition to Russian and Middle Eastern families, expect many Europeans, stalwarts of the fashion industry, celebrities and, of course royalty - the Duke and the Duchess of Cambridge, recent visitors. 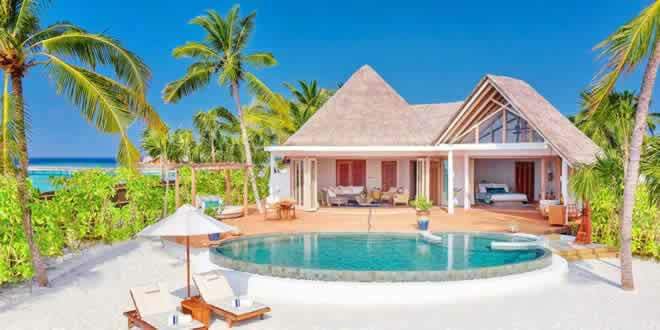 Prices are high, but Cheval Blanc Randheli is a kind of "Rolls-Royce" of the Maldives, included in the list of top 10 best luxury resorts in the Indian Ocean.